A 30 minute dinner for two! It was raining outside so Mom and I decided to make ourselves a nice dinner……we wanted something healthy, nutritious, as well as quick and easy to make. We decided on a simple salad of lettuce, avocado and cherry tomatoes, and a side of broccoli tossed in olive oil, pine nuts and Parmesan cheese. 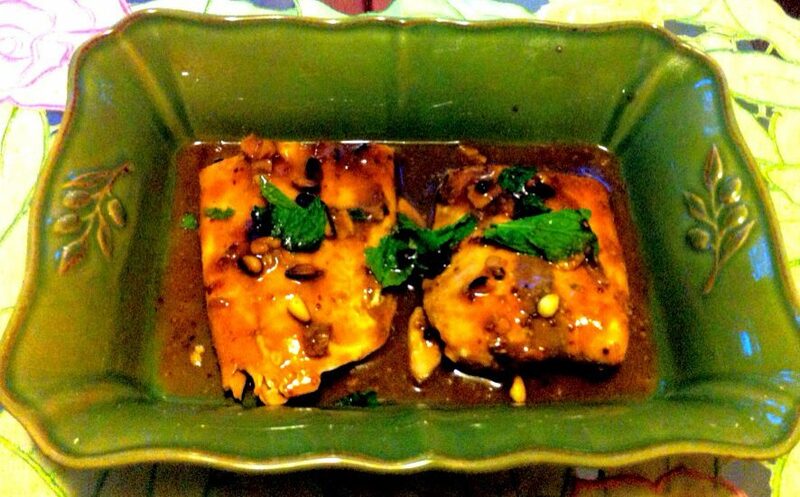 For the main dish, we made salmon fillets with mustard glaze. A glass of white wine completed the meal. Yum! Our delicious 30 minute spread! 1. To make the salad dressing mix olive oil, honey and vinegar together. 2. Cut the lettuce and avocado. 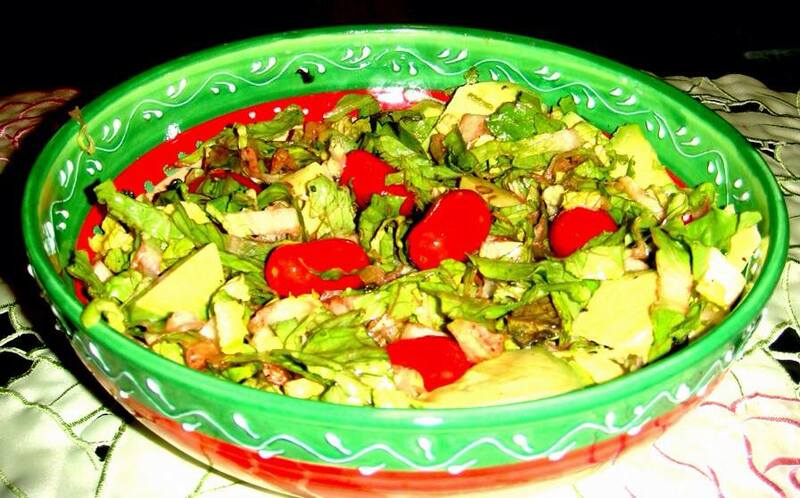 Add cherry tomatoes as well as the sunflower seeds to the lettuce and avocado. 3. Add the dressing to the salad along with salt and pepper. Toss well and serve. Broccoli that anyone can appreciate! 1. Wash and dry the broccoli and place in a baking tray. 2. Slice 2 cloves of garlic and add to the broccoli. 3. Add olive oil and mix well. Bake for 20 mins at 425 degrees. 4. Dry roast pine nuts in a pan separately and keep aside. 5. Once the broccoli is done and is a little brown on the edges, remove from oven. Add juice of half a lemon. 6. Mix the pine nuts and Parmesan cheese to the broccoli and stir well. 1. Heat oil in a medium skillet. Add salmon and cook for about 5 mins or until browned. Season with black pepper. 2. Add half of the broth to the skillet and heat to a boil. Cover and cook over low heat until the fish flakes easily when tested with a fork. Remove salmon and keep warm. 3. Add the remaining broth, vinegar, mustard and sugar. Cook over medium heat till sauce thickens and is reduced to half. Pour over salmon and serve hot.